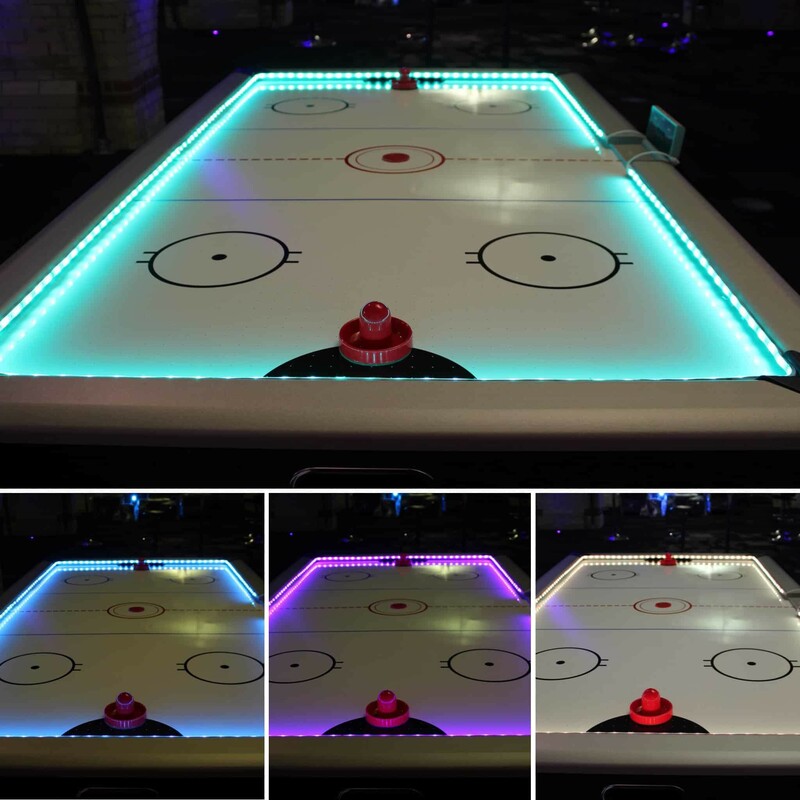 If you love Air Hockey you will love our LED Air Hockey Table. 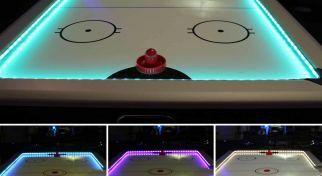 The LED Air Hockey Table features LED lights around the table and underneath the Air Hockey Table making it glow! 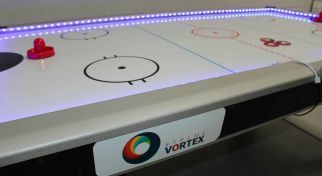 The LED Table looks great in daylight but really comes to life in a darker room so the LED lights can take full effect. 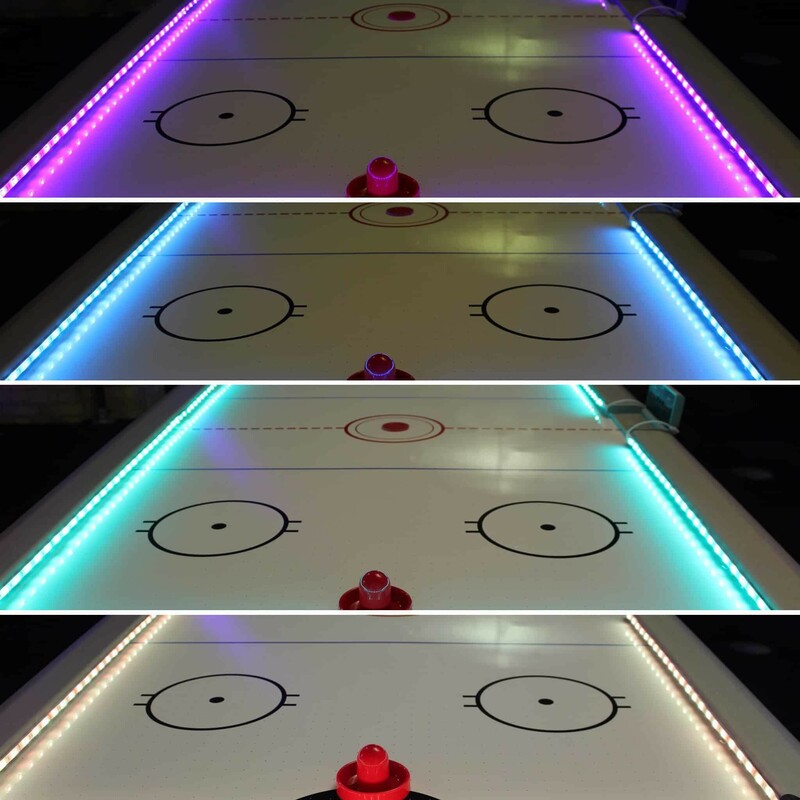 There are lots of LED colours to choose from so the Air Hockey Table with lights will fit in with your event theme perfectly. 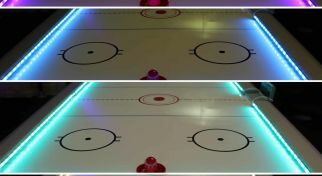 You can enjoy playing Air Hockey and it will look fantastic with LED lights! 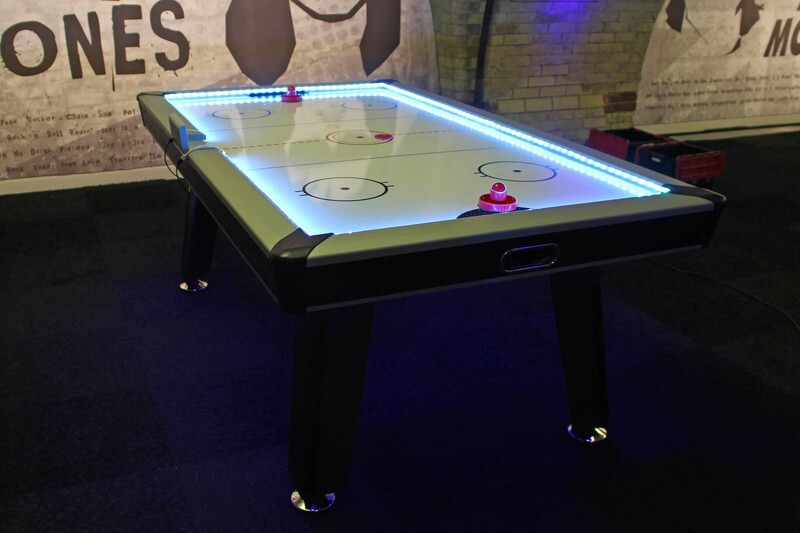 The Air Hockey Table Hire is perfect for Corporate Events, Family Fun Days, Team Building, Conferences, Parties, Christmas Parties, Marketing and Promotions, Product Launches and many more events. 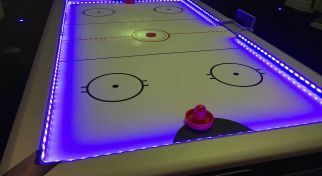 So if you are looking for an Air Hockey Table for Hire for your event get in contact and our team will be happy to help. 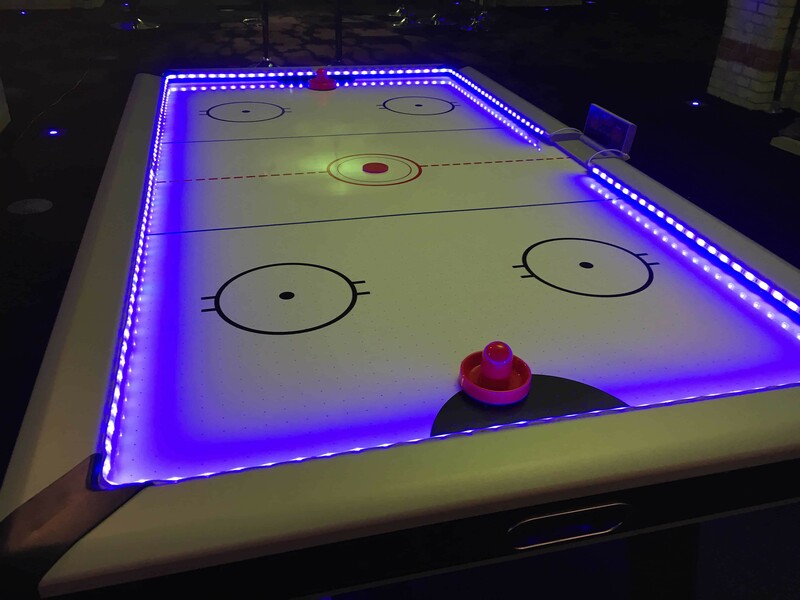 The Air Hockey is one of our Activities for Hire that can be branded making it bespoke for you and your event. 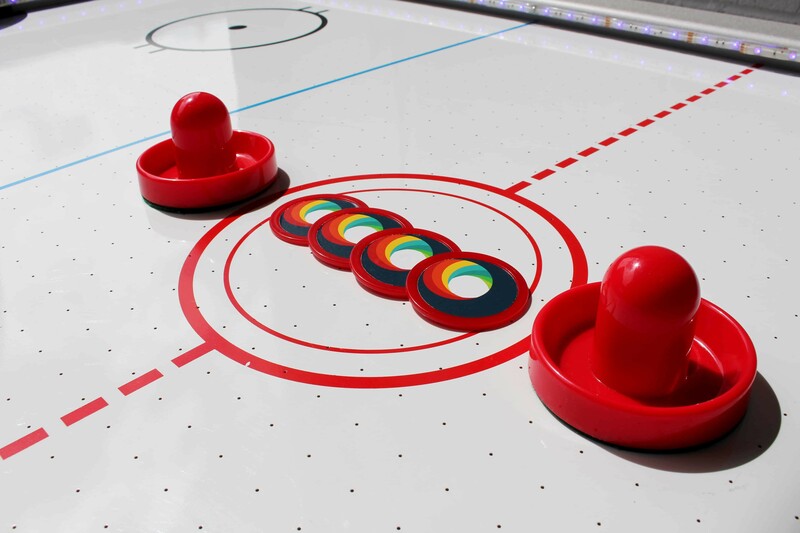 You can brand the pucks and the side of the table with a logo/design. 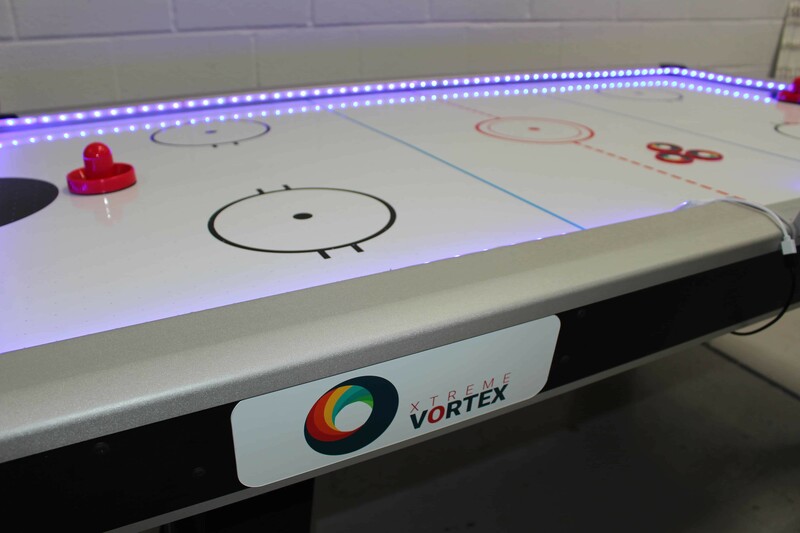 For more information about Air Hockey branding please contact us. Why not take a look at our branding gallery for some examples of previous branding work. 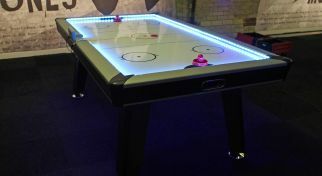 If you are looking for pub games hire like Air Hockey we also hire LED Foosball Tables, Table Tennis Tables, UV Table Tennis, Retro Games, LED Pool Table, a Buzz Wire and other pub games. 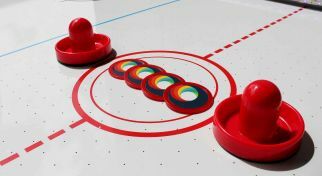 Our pub games are popular for parties, Weddings, Christmas parties, family fun days, corporate events and many more. 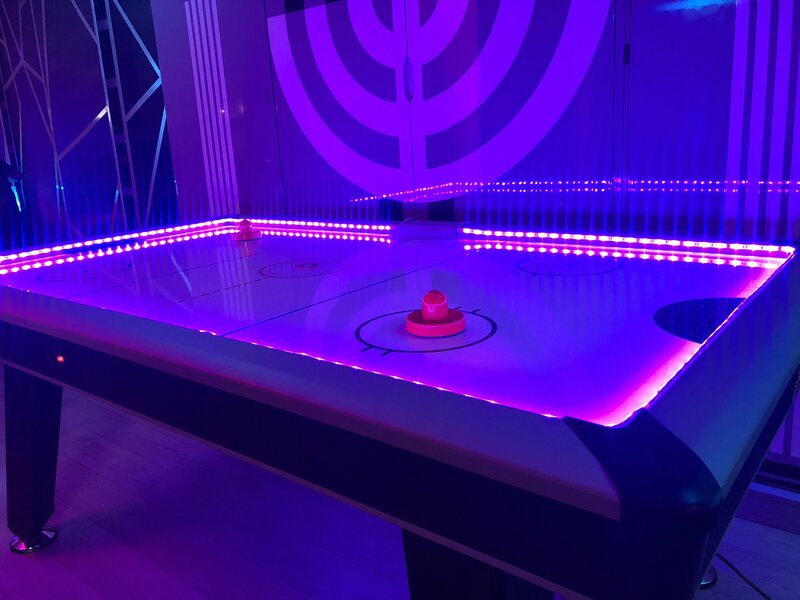 The Air Hockey Table is available for hire in London, the South East (Kent, Surrey, Sussex, Essex) and across the UK for a quote please contact us. 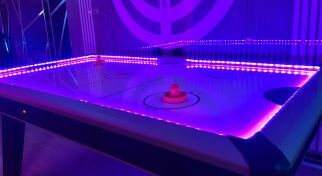 The LED Air Hockey can be branded or customised for a specific brand, product or event theme, making it perfect for Marketing Events.